Bangladesh ODI captain Mashrafe Bin Mortaza has gathered another feather in his cap by being featured on the cover of official Facebook page for ICC Cricket World Cup 2018. 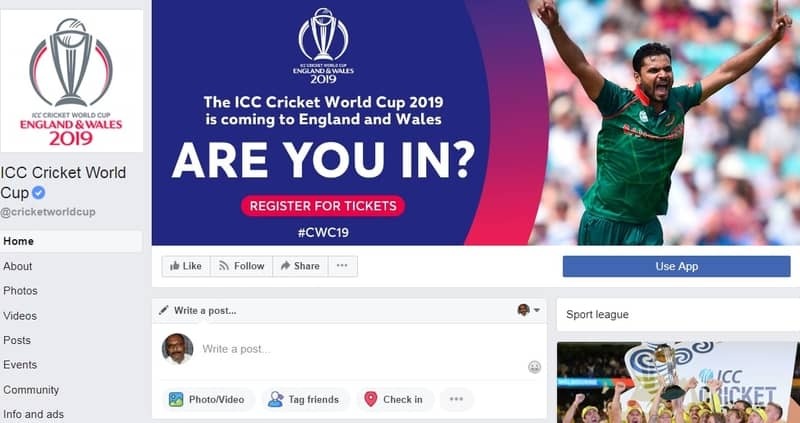 Through the page, the cricket policymaker asked the visitors to collect tickets for World Cup matches to begin in May 2019 in England. The ICC has placed the trademark image of Mashrafe celebrating the wicket taking during a match in the ICC Champions Trophy held in England last year. On October 30, 2019, the World Cup will be kicked off by a match between the host England and South Africa. On June 2, Bangladesh will face South Africa in its first match.